It’s always something of a wonderful story to hear, of a couple trying to have a child being blessed with their wish coming true. It could be because of faith in something spiritual, but more concrete means can be found in the advancements and innovations of medicine. So many hospital procedures have been developed in the past decades or so that has enabled women previously incapable of bearing child for a multitude of reasons to conceive. The following report details one of these miracle births, brought about by something taken from the new mother years ago, but has since been returned. 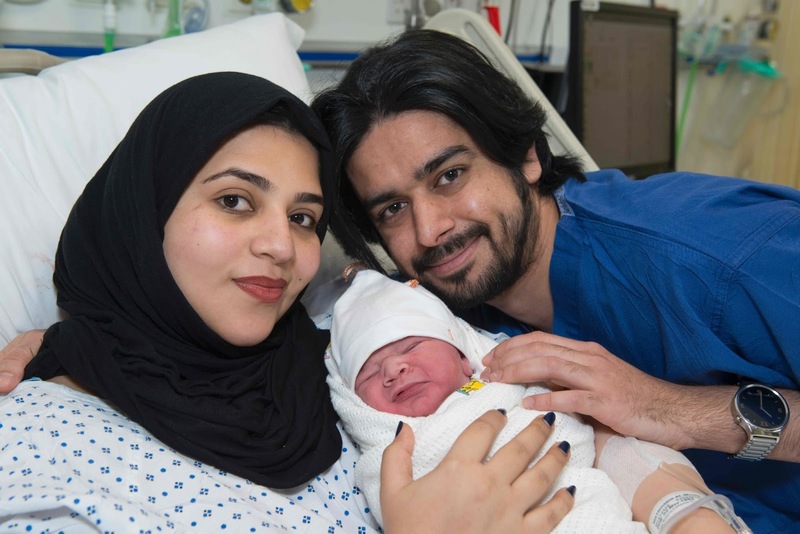 The Guardian has the story on how a young mother from Dubai became the lucky parent along with her husband of a healthy baby boy, after her fertility was restored by the surgical replacement of tissue from an ovary of hers that has been placed in cold storage since she was a child. Moaza Al- Matrooshi, 24 years old, delivered her son Rashid Tuesday December 13 at London’s Portland Hospital, following a medical procedure several years in the making that, having been proven effective for Matrooshi, will be sure to shine the light of hope for women with problems of fertility brought on by side-effects of treatment for serious diseases. Matrooshi’s maternity story actually began when she herself was born, having inherited beta thalassemia, (Mediterranean anemia) a grave and potentially deadly blood disorder. Chemotherapy was recommended for her recovery; but out of fear that the procedure will render her infertile for life by irradiating her reproductive organs she volunteered to have her right ovary removed at nine years of age before starting her radiation therapy. The organ was then frozen and stored at Leeds Hospital where she had undergone the operation. Moving to Great Ormond Street, still in London, Matrooshi underwent the radiation treatment for beta thalassemia, losing the functions of her left ovary in the process. After a bone marrow transplant, her stored ovary was unfrozen and bits of its tissue matter were surgically inserted into her remaining ovary as well as one side of her uterus by doctors from Denmark following the completion of her chemotherapy. To everyone’s relief, her reproductive hormones stabilized and she regained her monthly periods. Upon marrying Ahmed Matrooshi, Moaza arranged for in-vitro fertilization to up the chances of conceiving with her husband. The results spoke for, or rather cried out for itself on that miraculous December day. While other women undergoing fertility-threatening treatment have also opted for ovary storage like Matrooshi since 2003, hers is notable in that the organ was removed before she hit puberty and became active for reproduction, yet the operation worked.